BEFORE THE CAMERAS ROLL OR THE KEYBOARDS CLICK, WE WANT TO ENSURE THAT YOUR STRATEGY IS FULLY DEVELOPED. WE CAN HELP YOU TURN A VISION INTO REAL RESULTS. Video Marketing: Since we specialize in creating quality video and other digital content, we have also become experts in marketing this content for our clients. 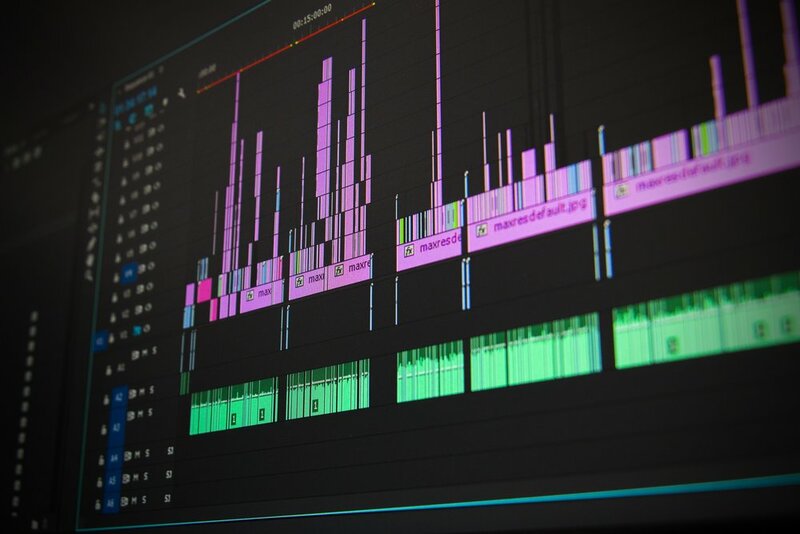 We can help you distribute your video on social media, advertise, track the return on your investment, collect leads, or even build a new website. We know digital marketing and we love to help our clients succeed! Conceptualization/Scriptwriting/Storyboarding: Perhaps you know what you want to achieve but are not quite sure where to begin. Our creative team will work with you to determine exactly how to deliver your message. Once a creative solution is selected, we are ready to move on to fully developing the idea. Let's tell your story! The Barking Fish writing team will take the seeds of an idea and grow them into a tangible vision ready to be heard. Pre-Production Services: Pre-production is an important part of any project. We can provide all of your pre-production needs. This includes: casting, hiring crew, securing locations and equipment in addition to coordinating logistics necessary to ensure a successful production. We offer full-scale production and post-production services. Our team of passionate and experienced production service providers, editors and designers will be there to support you every step of the way. Storyboards are graphic organizers in the form of illustrations or images displayed in sequence for the purpose of pre-visualizing a motion picture, animation, motion graphic or interactive media sequence. Once you’d determined the creative solution and fully scripted the message, Barking Fish is available to storyboard! A storyboard will help you and your team fully grasp what you will SEE at the end of the project. Production: Our production team will manage all aspects of your production from the crew to the catering; we’ve got you covered. We carry full coverage production insurance and have relationships with crew members and production resources around the country. Production services include directing and cinematography. We are headquartered in a fully operational Post-Production facility offering creative and technical services. Our team of experienced artists and technicians are committed to understanding your vision. Editors work on some of the most up-to-date hardware, software and plug-ins available to professional editors. Our facilities include two state of the art recording studios with optional audio engineering services. There are no other audio production facilities like ours in the Cincinnati area. Click here to learn more about recording!